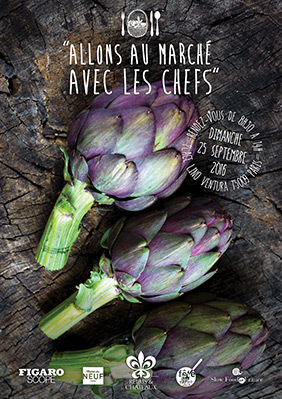 For the 5th edition of the “Fête de la Gastronomie” on Friday 23th, Saturday 24th and Sunday 25th of September 2016, discover gourmet events organized into the French Relais & Châteaux. Created by the French government, this gastronomic nationwide celebration offers a series of events that bring together the chefs, the farmers and producers, and the public. Let’s go to the farmer market: the Chefs will go with young gourmet people to the market to discover regional products. Menu from the vegetables garden: Enjoy a gourmet menu around seasonal vegetables locally sourced. Please book your event directly with the property. Limited spaces!